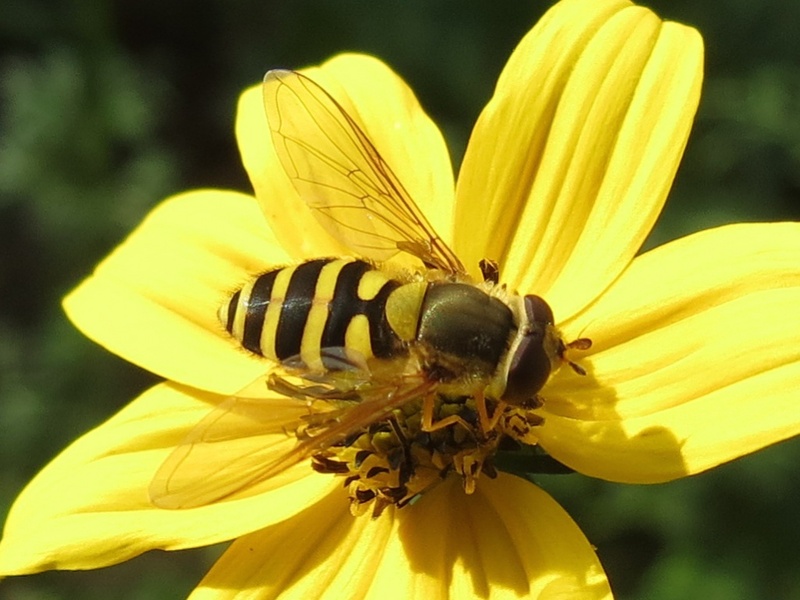 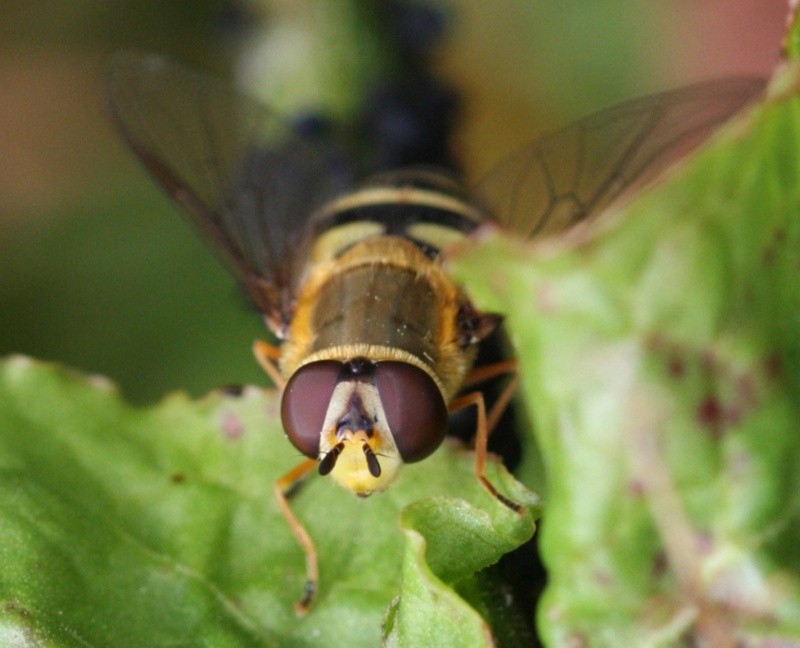 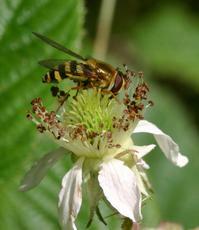 A common hoverfly with yellow 'moustache' bands on a black abdomen. 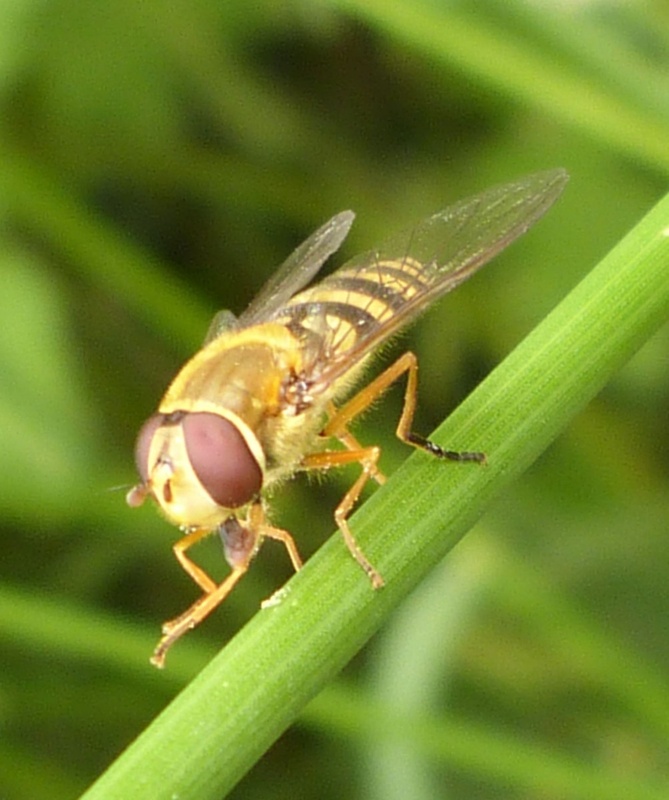 The female has an all-yellow hind femur. 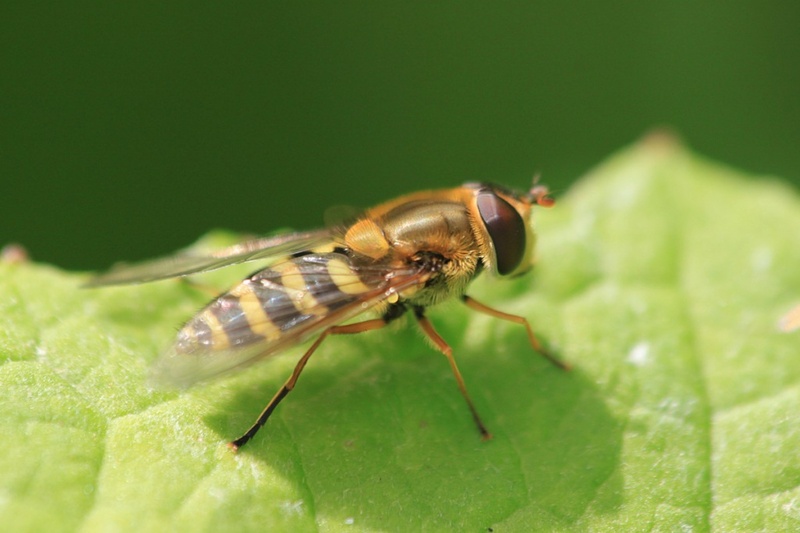 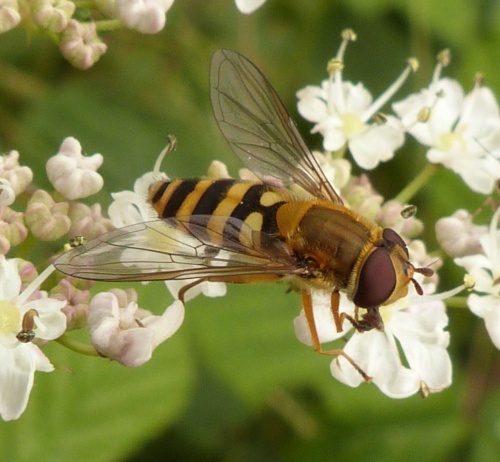 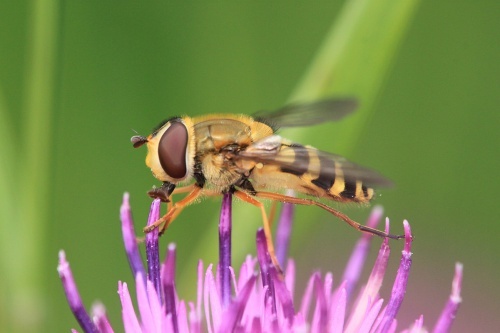 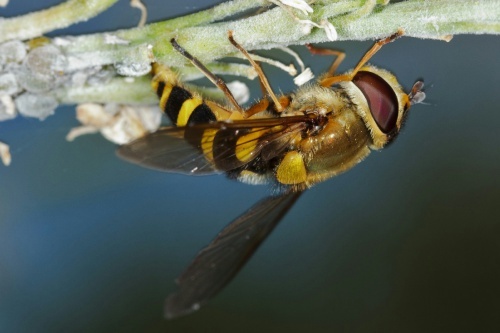 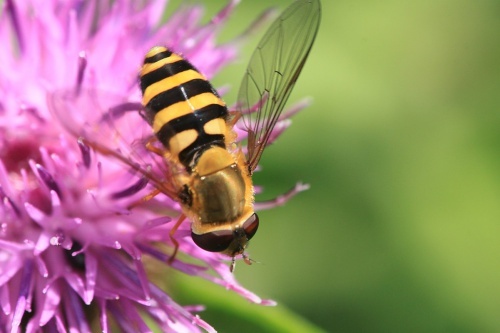 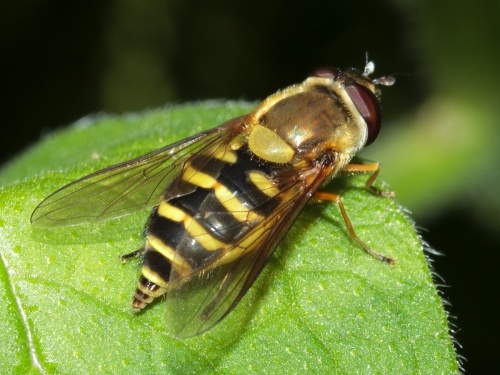 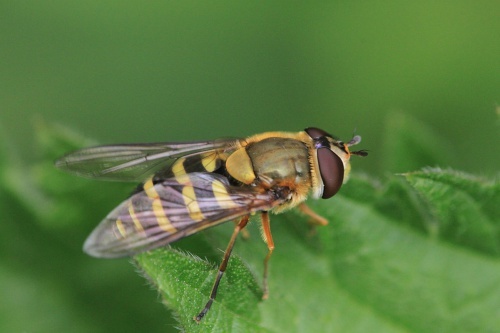 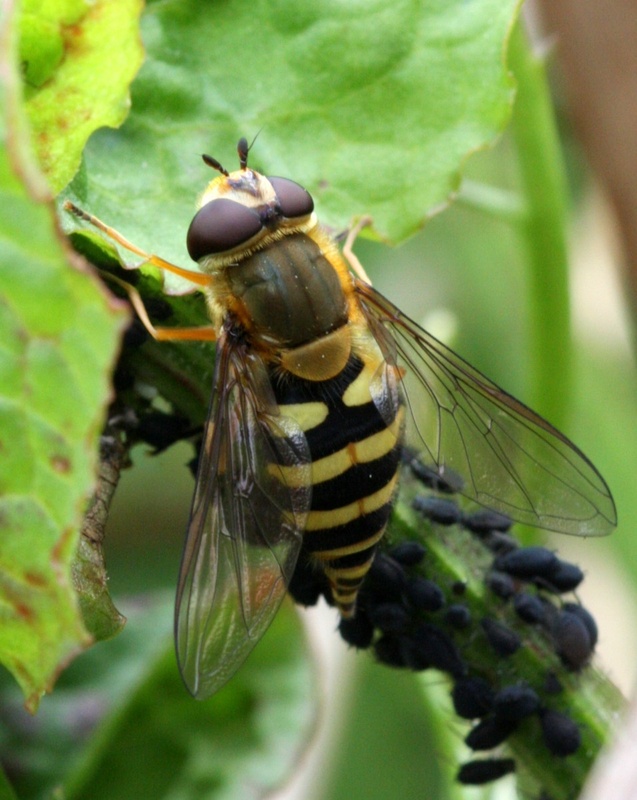 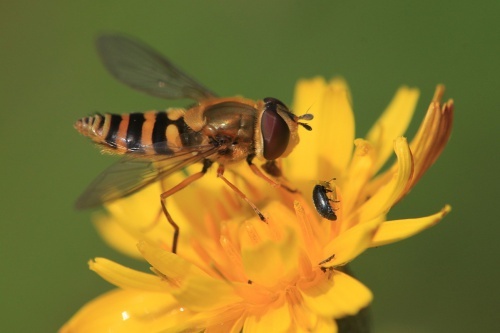 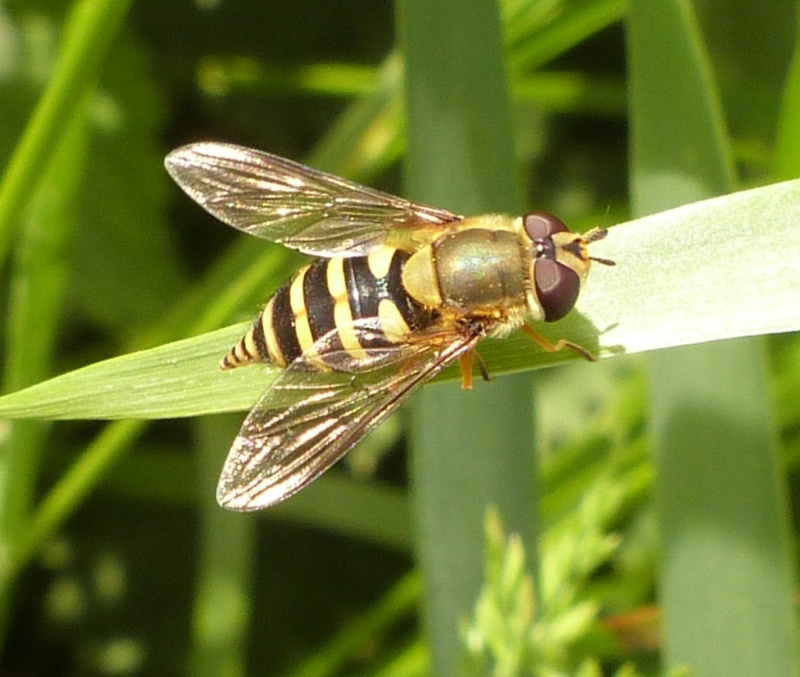 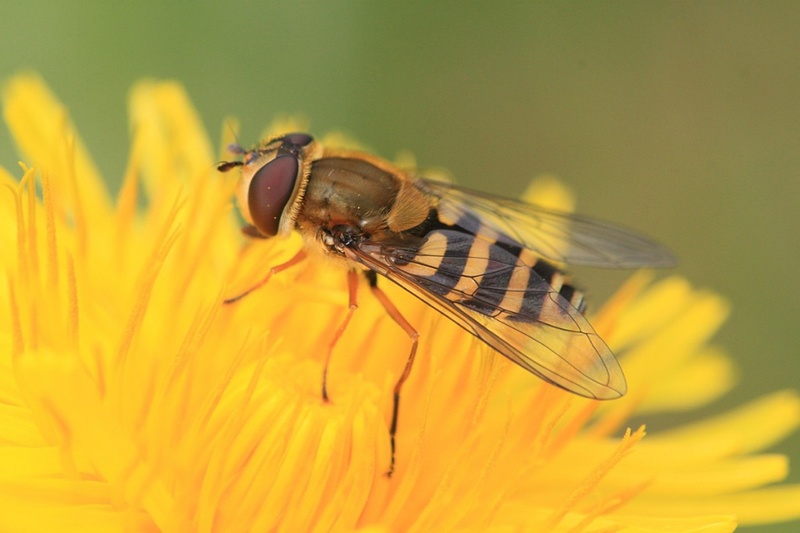 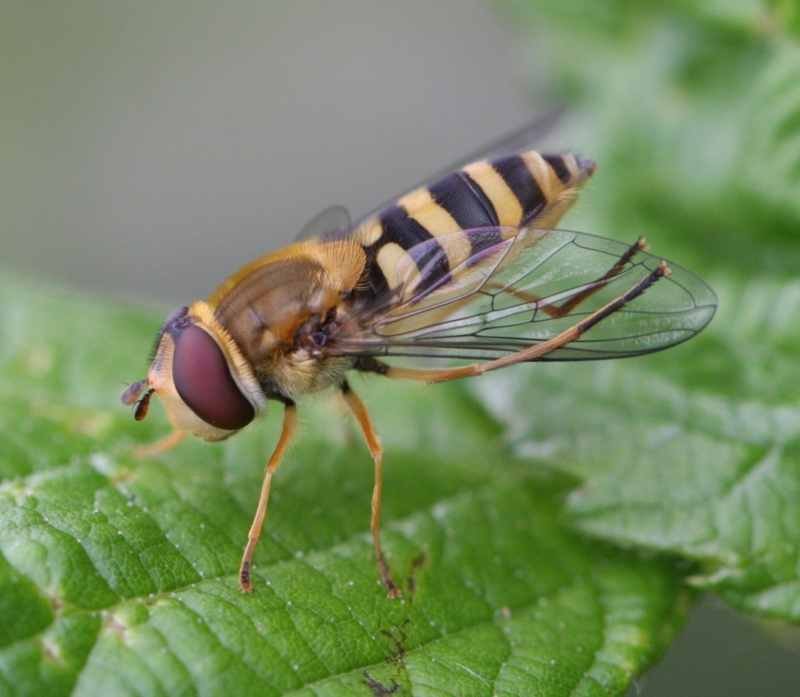 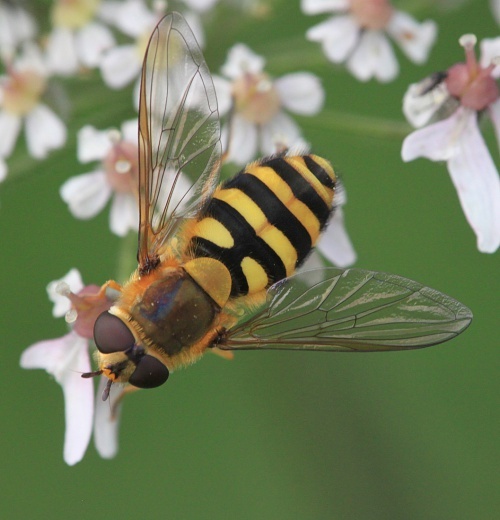 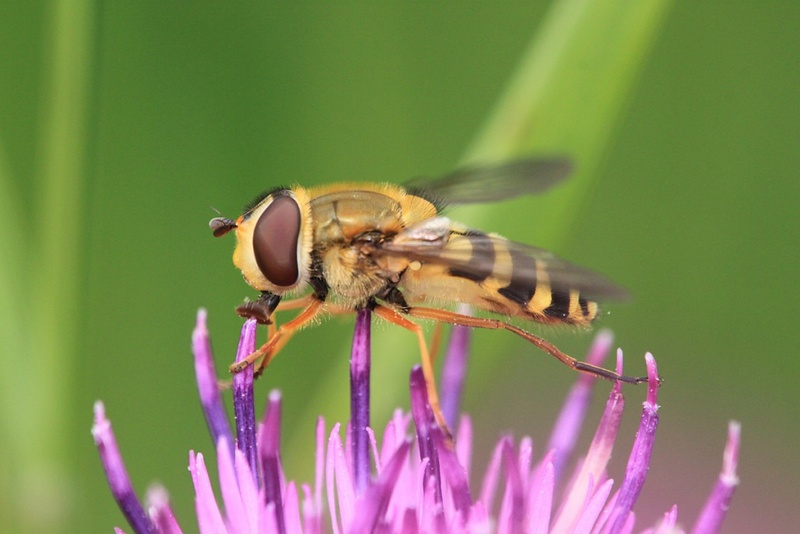 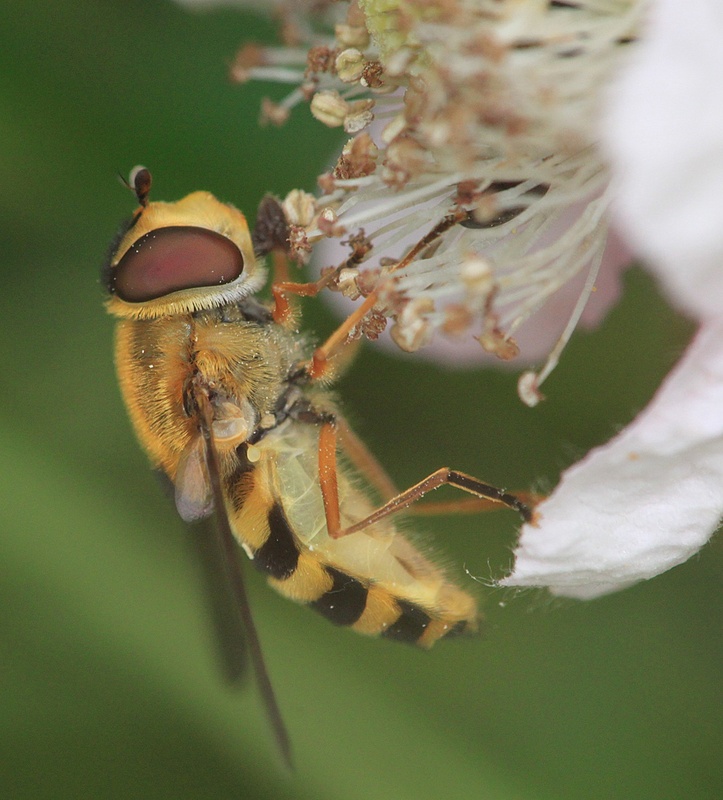 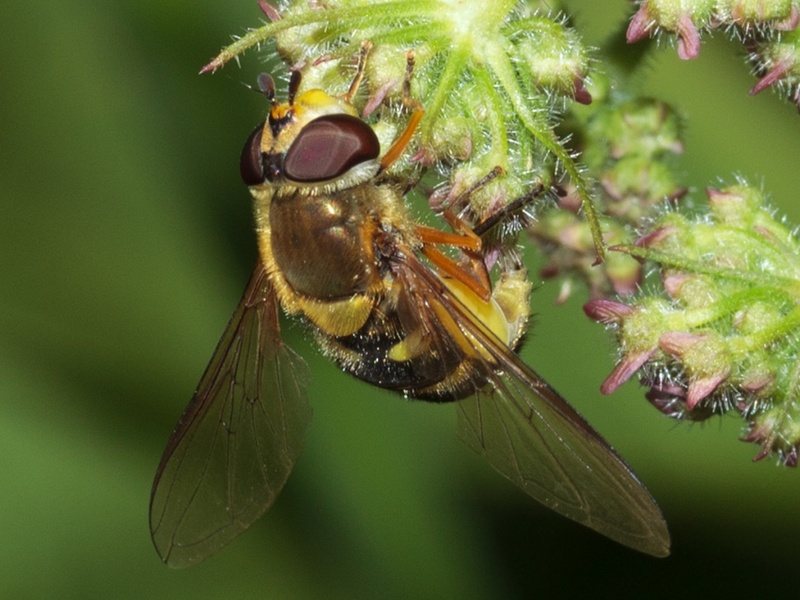 This species is almost identical to Syrphus vitripennis (Lesser Banded Hoverfly) except the female's hind femur (top part of leg) is yellow rather than black. 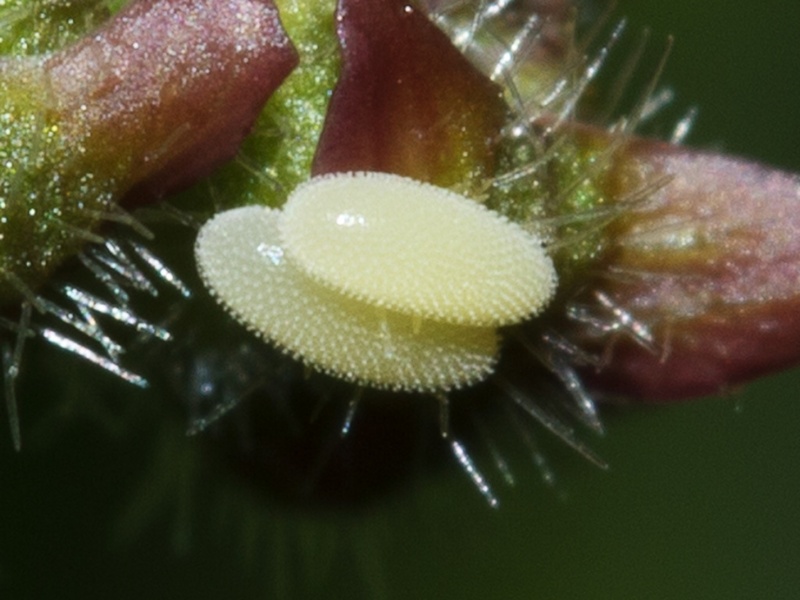 Both sexes of S. ribesii have the basal cells of the wings covered in microtrichia (tiny hairs) which are lacking in S. vitripennis. 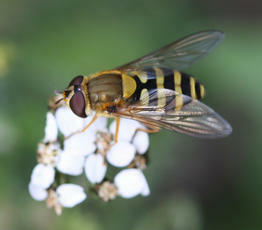 Found in gardens, hedgerows, waste ground and many other habitats. 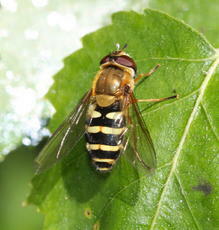 It can be found from March to November with peaks in late May/early June and again in July to September. Males often create a 'hum' by vibrating their wings when resting and this sound is often a familiar background noise in woodland during the summer. 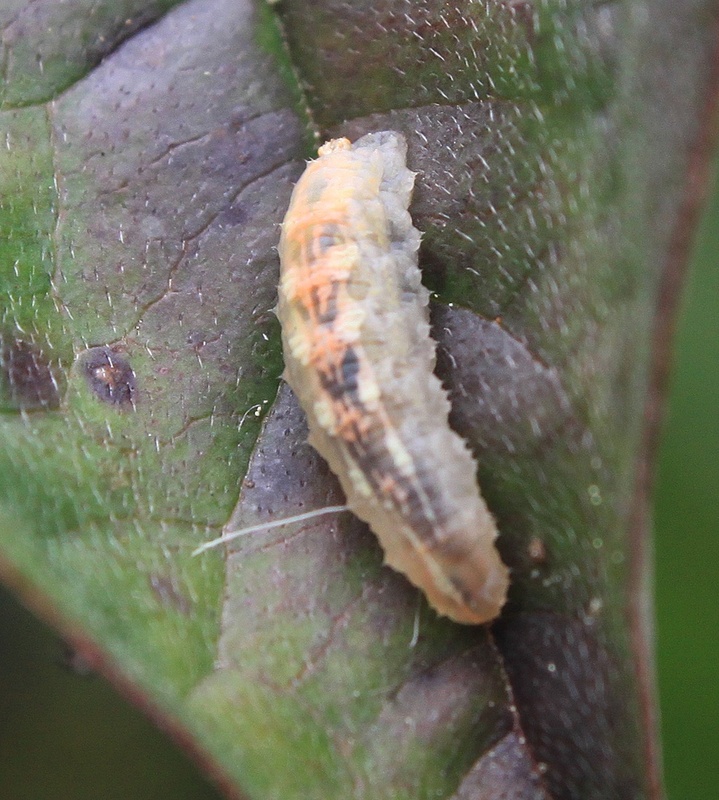 It is multiple brooded.